Phuket Shopping Tours | Explore the best shopping outlets in Phuket. 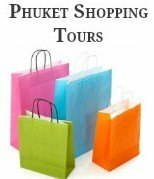 Phuket Shopping Tours… are a fun way to find a bargain! We feel that this shopping tour should be at the top of everyone’s list of "things to do” when planning a holiday in Phuket. Especially if you are searching for the best shopping spots and a fun-filled day of discount retail therapy. In general shopping in Phuket is fun, but it does have certain challenges! Especially for the first time visitor who doesn’t really know where to go or how much to pay, and particularly for women who don’t feel completely at ease venturing around the Island on their own. One of the main issues I have when shopping in Phuket is transport. Besides being overpriced some taxi drivers and tuk tuk drivers insist on taking you to certain shops whether you want to go or not, just so they can pick up their commission from the retailers, annoying and time wasting to say the least. Then you have the issue of carting your shopping bags from one shop to the next and all the while hoping that your bartering skills are up to scratch. With the introduction of these unique shopping tours, visitors can now relax and enjoy guided shopping tours to some of the best shopping outlets in Phuket without any worries. 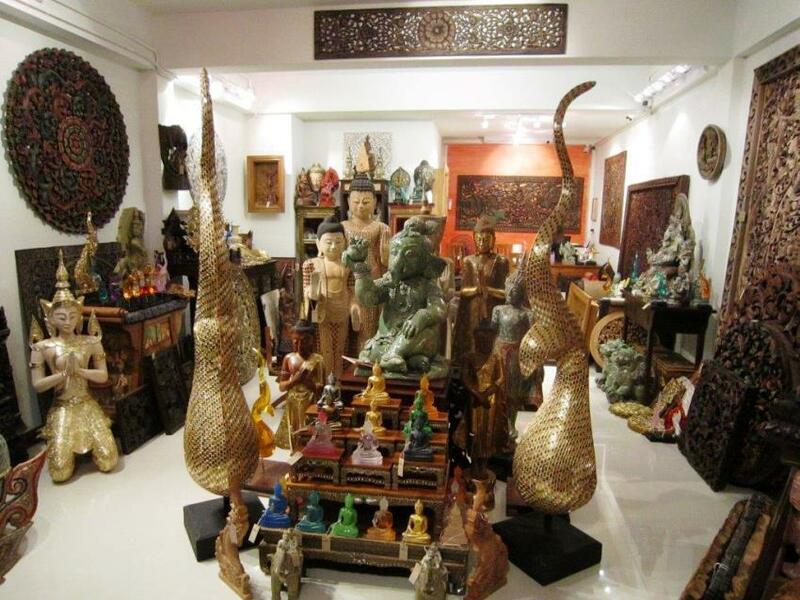 Joining one of these Phuket shopping tours allows you ample time for some serious shopping. With exclusive discounts at a host of discount outlets, wholesalers, shopping malls and local markets, some of which eludes even the most seasoned travellers to Phuket. All the outlets have an extensive range of products including clothing, sportswear, shoes, bags, homewares, Traditional Thai Products, art works and Thai souvenir’s. In fact the list of shopping is endless! Apart from the fantastic shopping and the fabulous savings you will experience throughout the day, this shopping tour also includes a mini sightseeing tour of the Island along the way. If you book a tour through our site we maybe paid a small commission, it doesn't cost you anymore then booking direct with the company but it helps us to keep our information free for you to read. Be assured we only recommend products and services that we have tried and tested ourselves and what we feel will be beneficial for you. To learn more please see our affiliate disclosure. If you would like to book a shopping tour, just fill in the easy to use contact form attached here. On the contact form you will notice there is a blank wish list area, this area is for you to fill in details about what type of shopping tour you would like further information and prices on. Not everyone wants to spend a full day shopping! 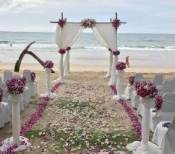 Don't worry there is a range of personalised Phuket shopping tours allowing travellers more flexibility. Half day shopping tours are perfect for those who prefer a little retail therapy later in the day. The half day shopping tour includes shopping at the Weekend Night Markets in Phuket Town, and a selection of outlet stores including a wholesale shopping outlet. A Private Tour is ideal for families travelling with small kids who don't want to spend a full day shopping. Transport for this tour is in an air-conditioned mini van. Girls... this tour is perfect if your travelling with your husband or partner who won't commit to a full day of shopping. Transport for this tour is in a luxury car. Now you have to admit a shopping tour in a stretch limo is definitely what a girl loves. A VIP tour in a stretch limo offers the ultimate shopping experience in Phuket and is perfect for small groups of up to 8 people. With any of these Phuket shopping tours you will be able to combine your love of shopping with your love of travel and see parts of Phuket you would not normally discover on your own. Are you ready to book your guided shopping tour? If so, just fill in the easy to use contact form attached here and the guys at Easy Day Thailand will be able to send you the information.